VUNO said Monday that it has signed a memorandum of understanding with medical centers in Cebu and Mandaue of the Philippines, to provide "VUNO Med-TriVu," its artificial intelligence (AI)-based treatment solution for sexually transmitted infections. Under the accord, the company will introduce its AI solution at the Cebu and Mandaue Health Departments, where the incidence of sexually transmitted infections is high. The company expects its platform will help the region, which has not been able to adequately test for major infectious diseases such as trichomonas due to lack of medical infrastructure, cope with the health problem. The MOU is the first one that a company has applied its AI to the screening of infectious diseases, including the sexually transmitted ones. With the contract, the company will be able to conduct clinical validation in three countries, including Korea, Mongolia and the Philippines, for the VUNO Med-TriVu. VUNO has developed the microscope-based AI solution Med-TriVu for the diagnosis of sexually transmitted infections since 2017 with the support of the Korea International Cooperation Agency (KOICA). Last year, the company successfully conducted demonstration projects at 10 national medical institutions in Mongolia. Currently, Mongolia Ministry of Health is adopting VUNO's AI solution as the national standard inspection method. 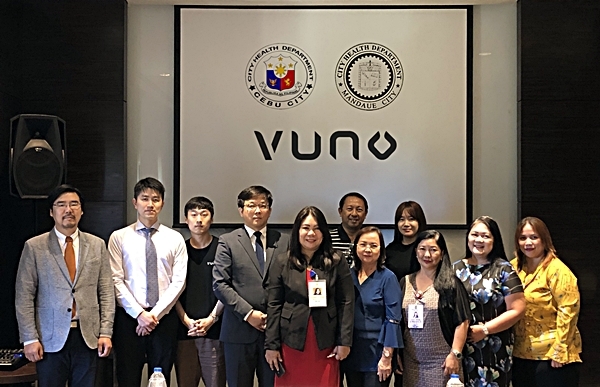 Beginning with the MOU, VUNO will start selling products to Philippine medical institutions and expects that its AI medical technology will show a robust overseas performance this year.